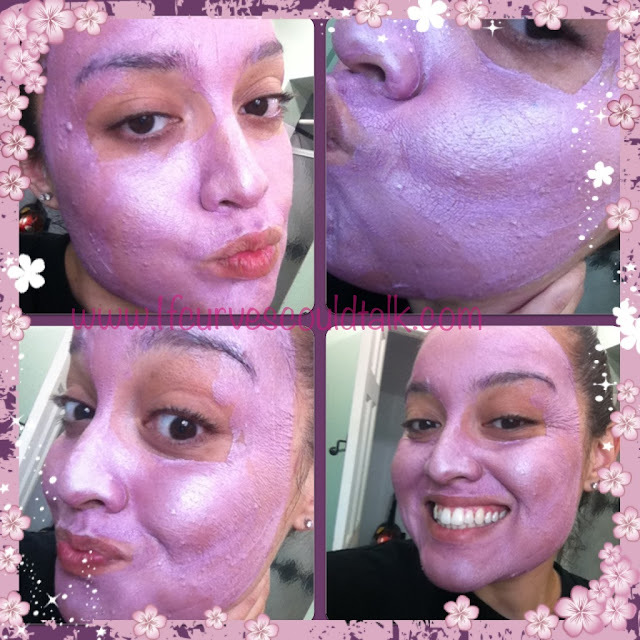 Welcome back for another mask review! 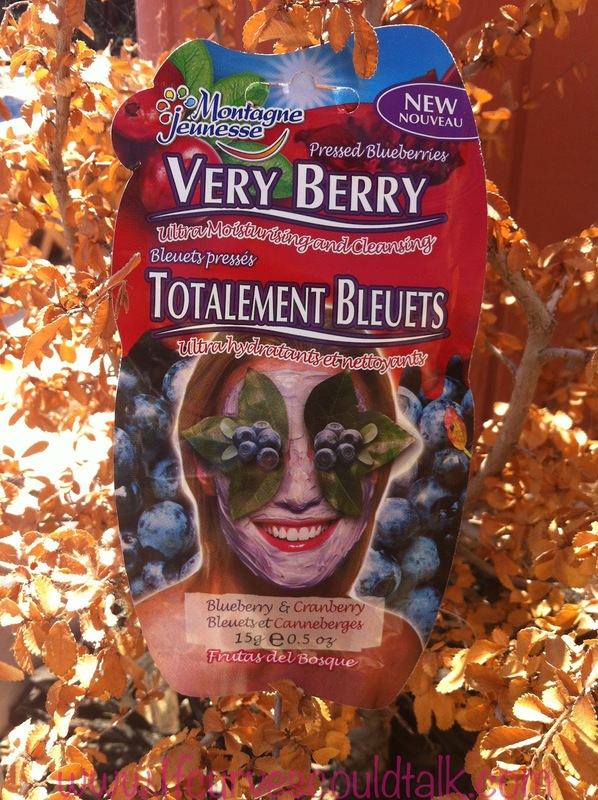 This weeks mask is Montagne Jeunesse Very Berry Face Masque. Ready to begin? Lets do this! With the juice of pressed Blueberries and crushed Cranberries this mask is loaded with antioxidants. The nourishing Peach Kernel oil and soothing Aloe will leave your skin refreshed and cleansed. 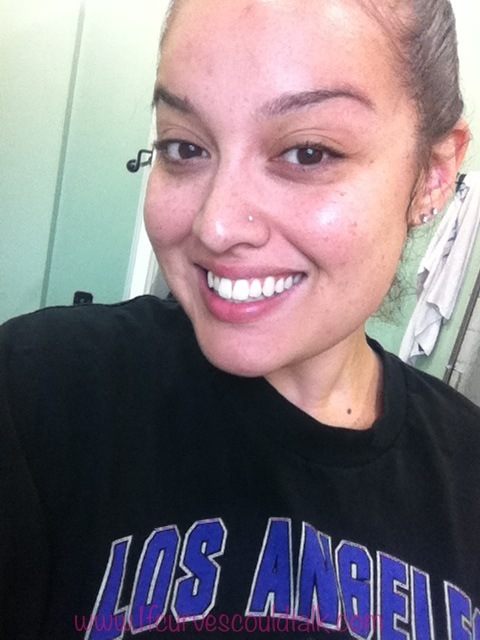 I must admit, this is the first time I thought my face looked clean in a picture. 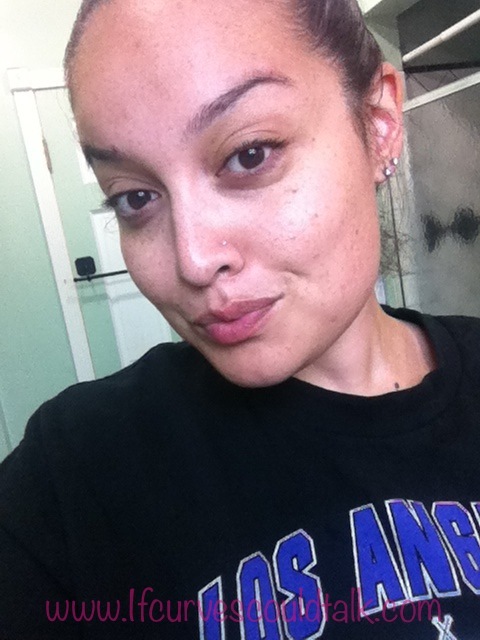 However, I was feeling like poor pores could use a deep clean from the L.A heat. Right off the bat the mask felt so light and fluffy. To be honest reminded me of whip cream in a fruity way. Smelled AMAZING by the way! I wanted to eat! As I said it felt so light and fluffy that it actually went on that way! Easy, smooth and again, I wanted to eat it up! This mask didn't get REALLY hard like the others. 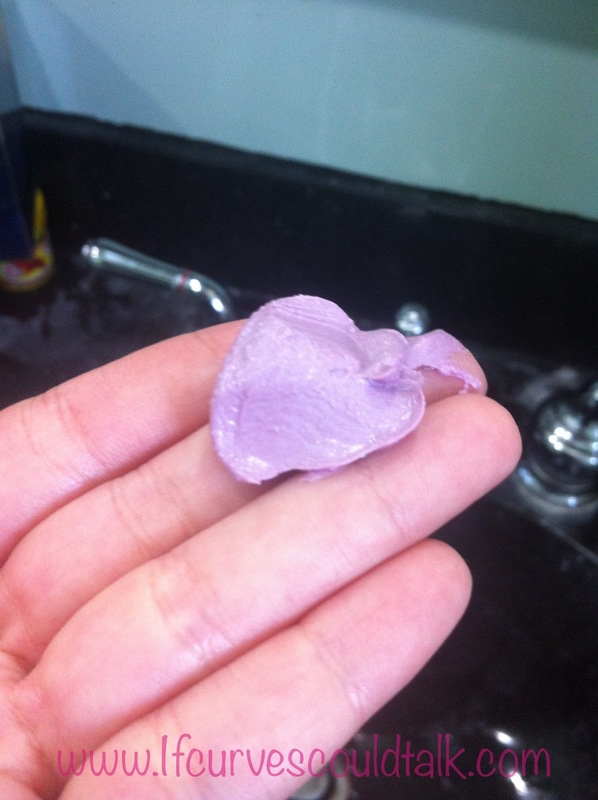 Even as it dried, which was 15 minutes leave on time, it didn't make my face feel as if it had cement on it. My facial expressions were very flexible as if I didn't have a mask on. As you can see it also dried shiny, which I thought was cool! Hardly no cracks in the mask during the drying time. This mask came off SUPER fast and smoothly! Better than most of the mask I have tried in the past. 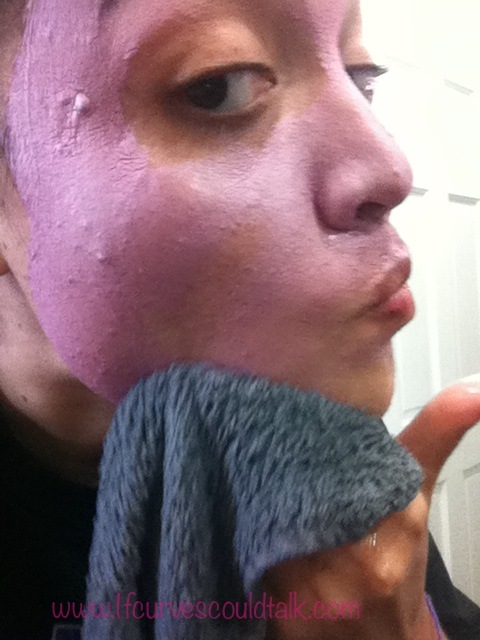 My face felt like pure silk after using this mask. No lie, girl scouts honor. It also left it clean, not deep cleaned like the other masks, but clean enough. Montagne Jeunesse never fails to amaze me...their products are thee best. 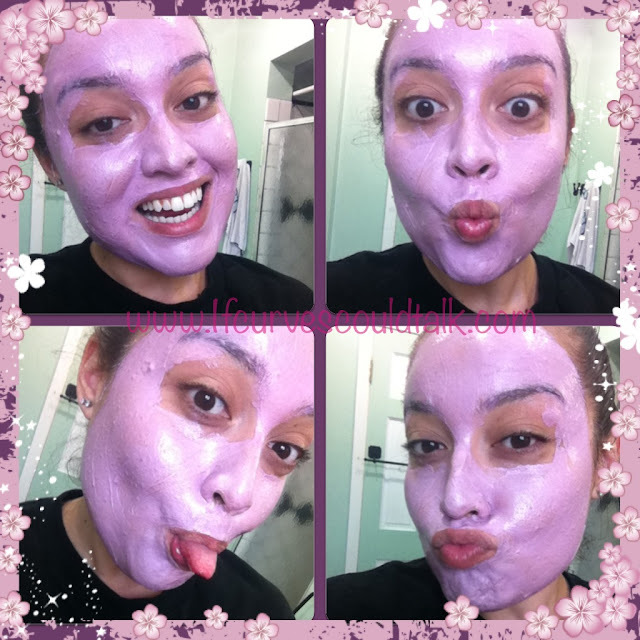 This mask though is great for nourishing your skin and giving it the extra nourishment most masks don't give you. 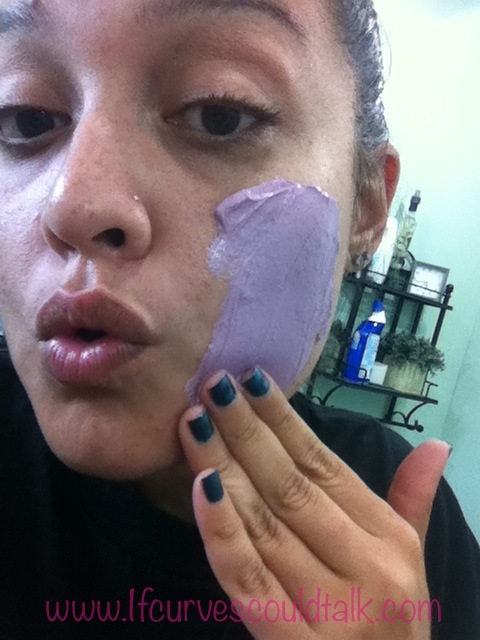 Love the color of this mask ;p I need to try this one out!